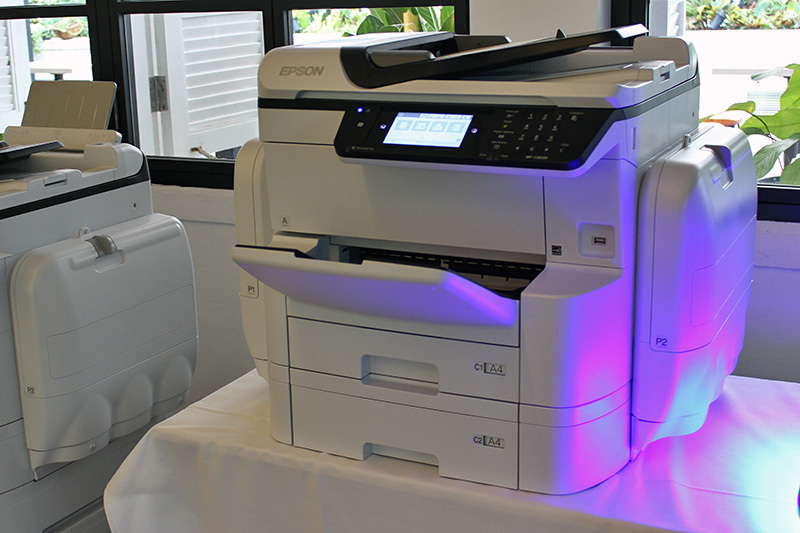 Epson has today launched its first multi-function printer under the company’s WorkForce Enterprise brand: the WF-C20590. 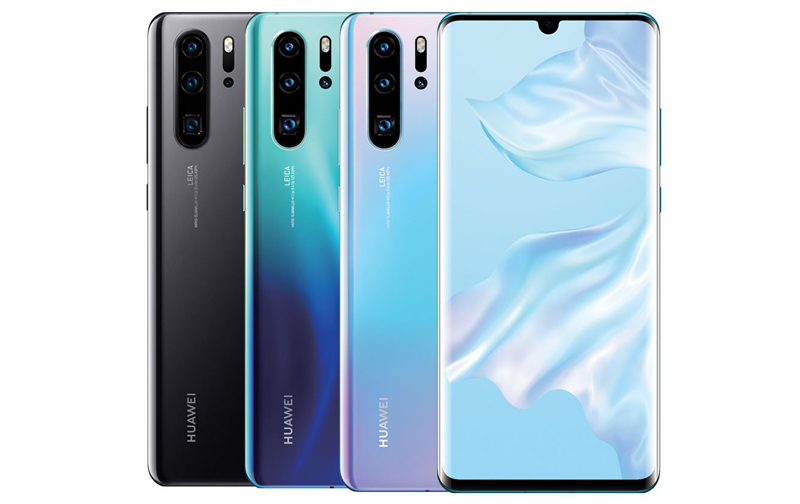 A color MFP capable of up to A3+ printing, the WF-C20590 also touts an insane print speed of 100 pages per minute (or 100 images per minute, according to the ISO standard), and that's for both black and color printing. Designed for large corporate workgroups that need a high-speed and high-volume-capable printer workhorse, the WF-C20590 is equipped with four paper trays and one multi-purpose tray for up to 2,350 sheets of paper input. For companies that print a lot, there’s an option to add another 3,000-sheet tray to bring the total input capacity to 5,350 sheets. 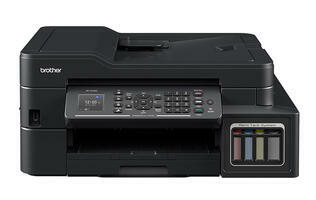 Since this is an MFP, you also get a built-in scanner for copy and scan jobs. More specifically, it’s a dual-head, single-pass scanner for fast copying of two-sided documents, also at a rate of 100 ipm. 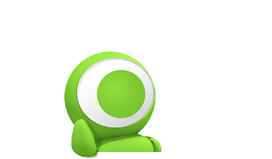 Fax, wireless, advanced device configuration and monitoring, PCL and PostScript support are all onboard. 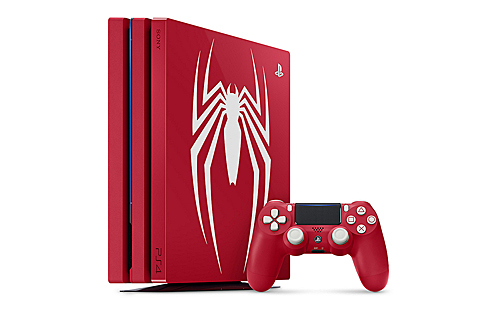 In a nutshell, everything is faster, bigger, and more on this machine: you also get a 9-inch color touch panel, a 150-sheet ADF, and the option of a professional finisher for stacking, stapling, and collating work. 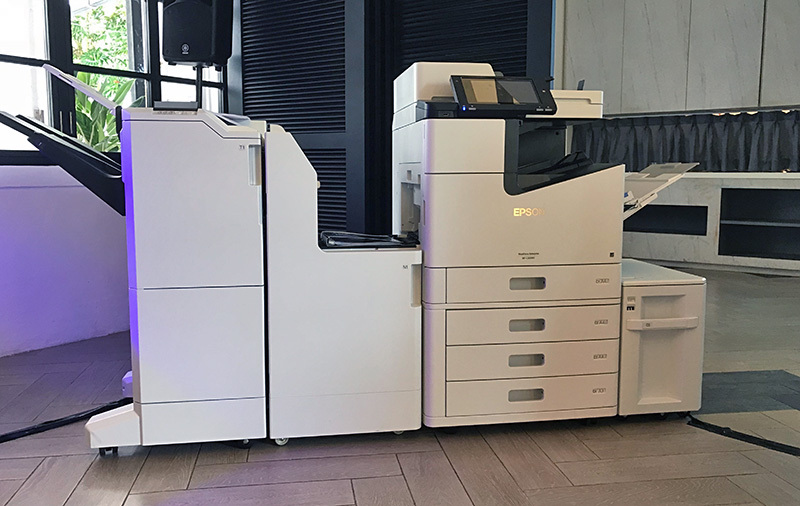 To hit 100 ipm for both simplex and duplex modes, and to maintain print quality at such breakneck speeds, the WF-C20590 uses Epson’s new PrecisionCore Line Head tech, which involves a fixed 43mm wide printhead with 33,500 nozzles (so only the paper moves), a print chip that produces dots at the micron level (maximum print resolution: 600 x 2,400 dpi), and a nozzle verification process that ensures print quality between cleaning cycles. In addition, the WF-C20590 uses Epson’s DuraBrite Pro pigment inks that are engineered to dry fast for quick handling after printing. 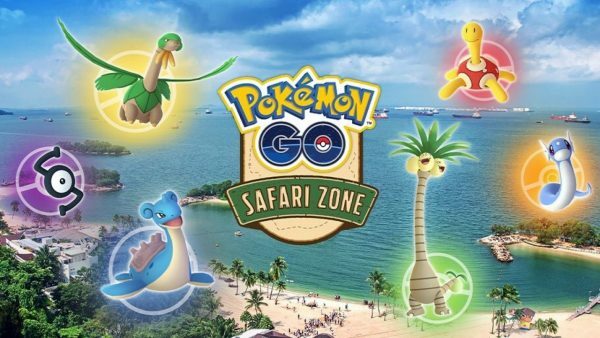 The resulting images are also fade and water resistant. 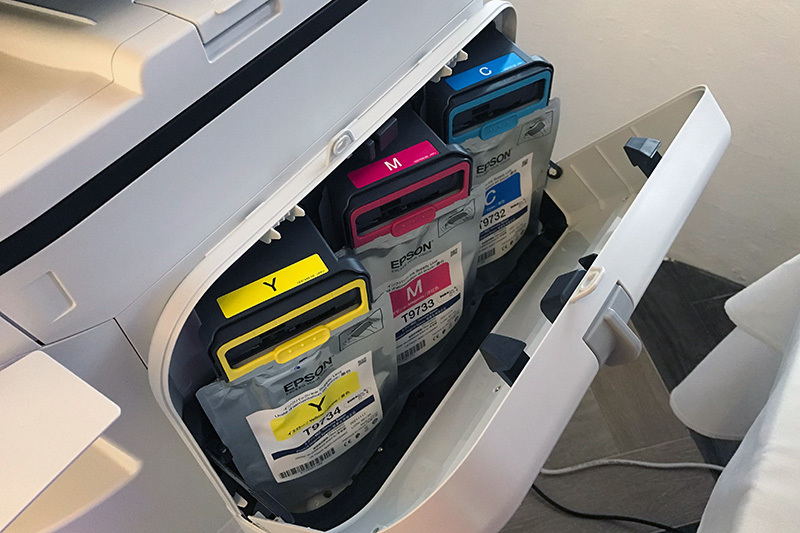 And since a super-fast printer doesn't make sense if the inks run out fast, the WF-C20590 uses high-capacity CMYK ink cartridges, each with an yield of 50,000 pages. 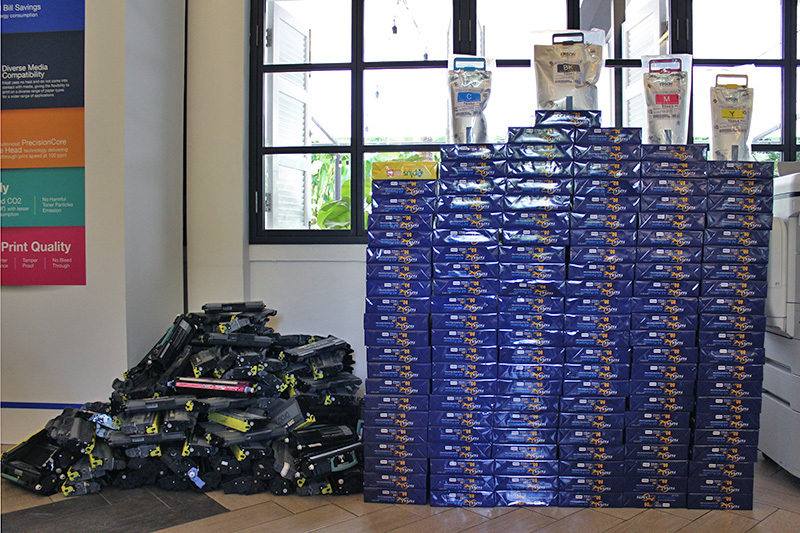 In simpler terms, a full set of ink cartridges can churn out 50,000 color prints, and 100,000 black-and-white prints. The latter is more simply because the printer can be fitted with two 50,000-page black ink cartridges. 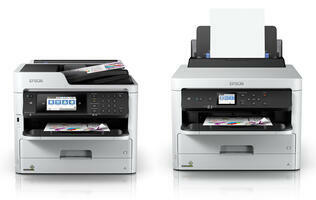 Yup, in case it hasn't dawned on you by now, the WorkForce Enterprise WF-C20590 is an inkjet printer. 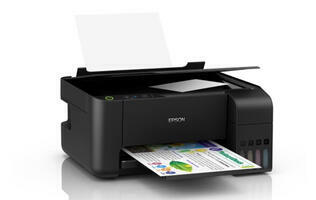 Epson is all-in with inkjet printers these days, and is banking a lot on its PrecisionCore printhead tech. Appearing first on Epson’s industrial machines, the tech has in the last few years made its way into the company’s consumer and SOHO/SMB range. 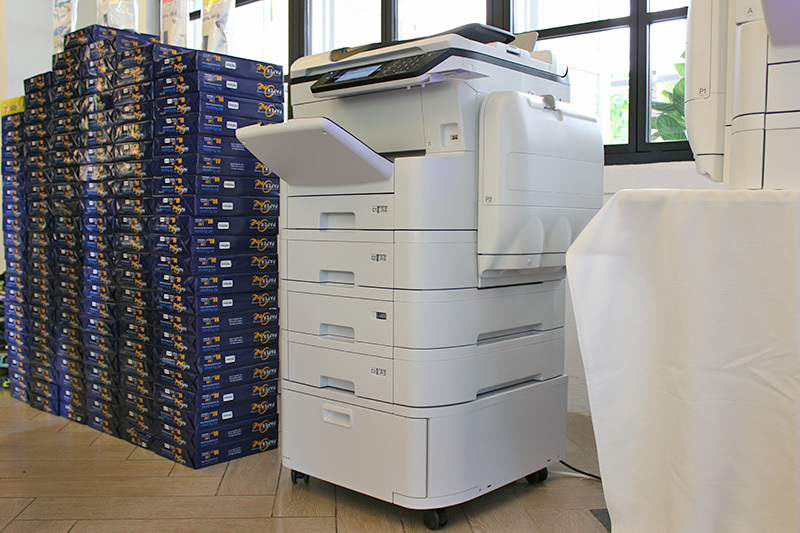 The WF-C20590 is the company’s first foray into the enterprise segment, and is set to go up against 45ppm and up laser printers. 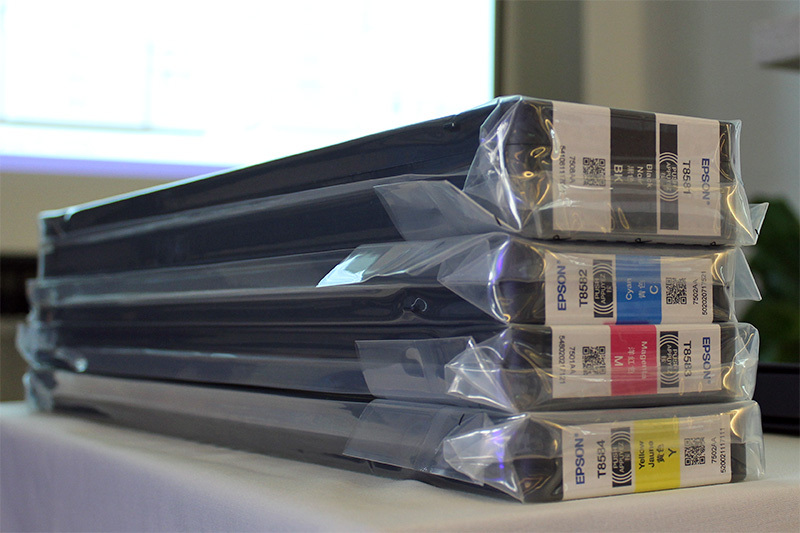 Expectedly, Epson is keen to point out the long-time advantages inkjet printers have over their laser-based counterparts, such as flexibility in media handling (e.g., photo paper, card stock), less costly maintenance due to fewer parts, and better energy savings. 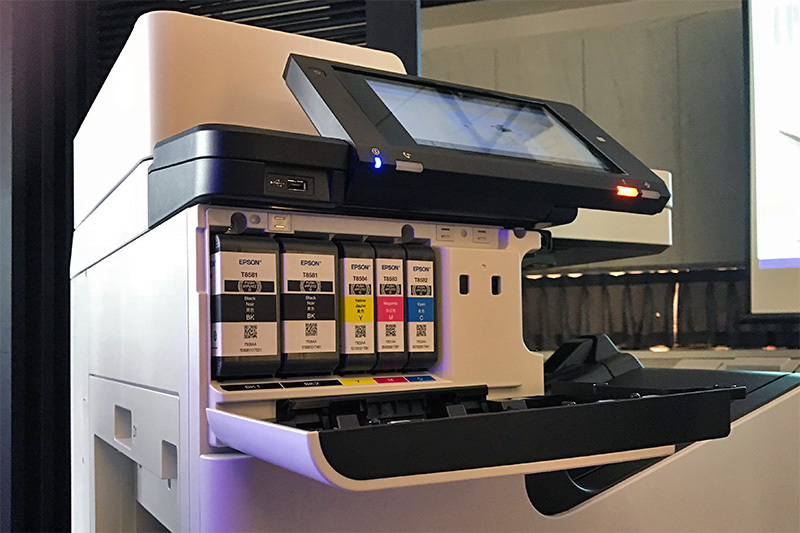 With a print speed that now surpasses many top-end laser printers’ and a system robust enough to support the kind of printing volume that enterprises engage in, Epson is looking to the WF-C20590 to disrupt the enterprise printer and copier market. 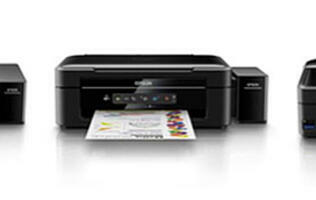 Also announced today is the WorkForce Pro WF-C869R, an A3 multi-function printer that uses Epson’s PrecisionCore 4S printhead and Replaceable Ink Pack System. The ink packs matter a lot because they hold enough ink for the printer to churn out 86,000 pages in black and 84,000 pages in color! If you don't print that much, the standard ink packs can still print up to 22,500 pages in black and 22,000 pages in color. Because of this advantage, Epson claims the printer offers the lowest-cost of color printing in its class. 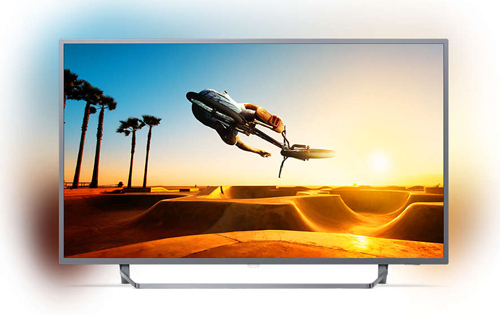 The WF-C869R can print at a rate of 24 ipm (both black and color), with a top resolution of 4,800 x 1,200 dpi. 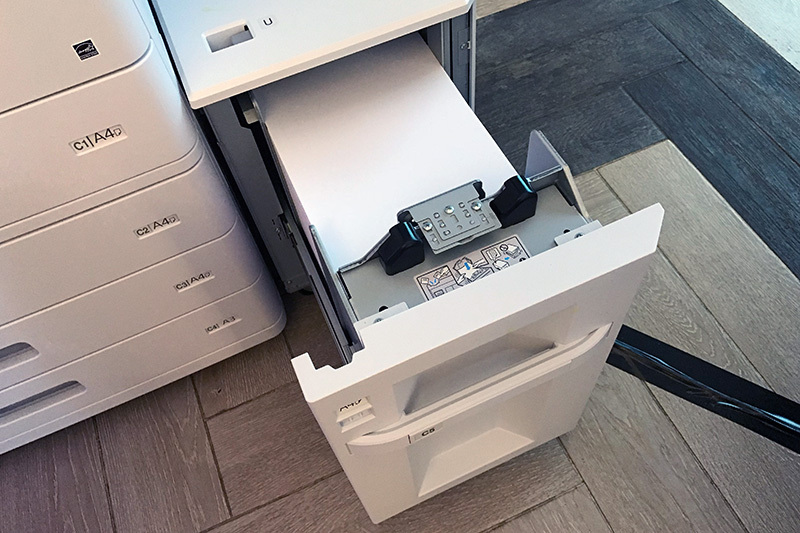 It can do 13 x 19-inch wide-format printing, accepts up to 1,835 sheets of paper (835 sheets in the standard config), has a one-pass duplex scanner, is capable of automatic duplex printing, and supports wired/wireless networking and even NFC. 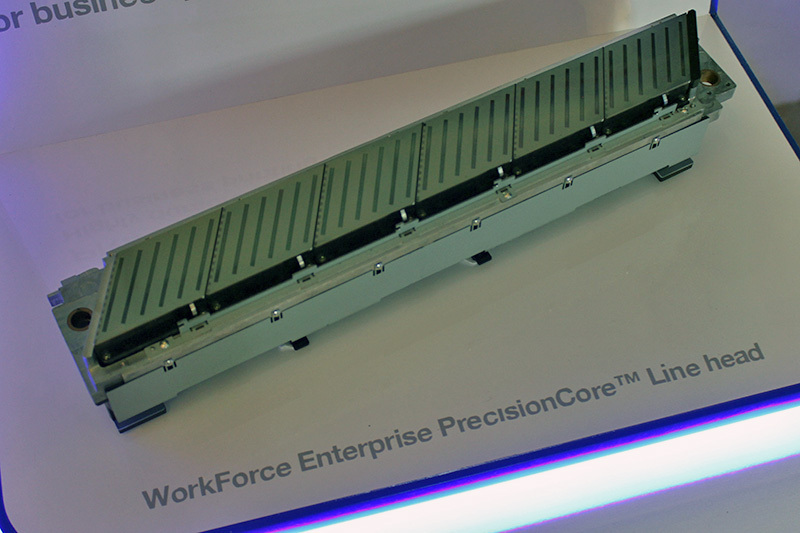 The WorkForce Enterprise WF-C20590 and WorkForce Pro WF-C869R are now available. 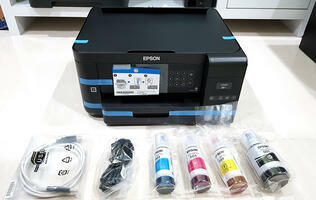 Interested buyers can approach Epson Singapore for further details.